Our second evening lecture this spring highlights another grand country house and estate. 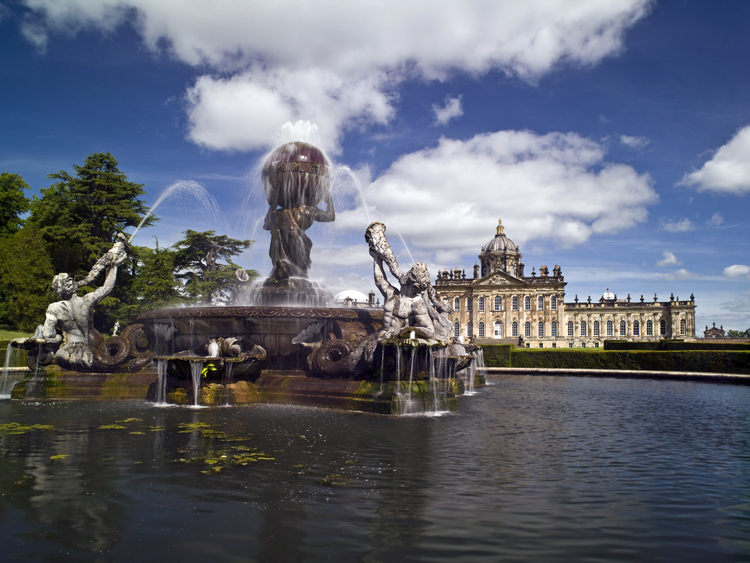 As far as country homes go, Castle Howard is one of the most grand. Located in North Yorkshire, England, Castle Howard, though not an actual castle, was constructed after the castle-building era, circa 1500. Built between 1699 and 1712 for the 3rd Earl of Carlisle, Charles Howard, the home has belonged to the Howard family for 300 years. 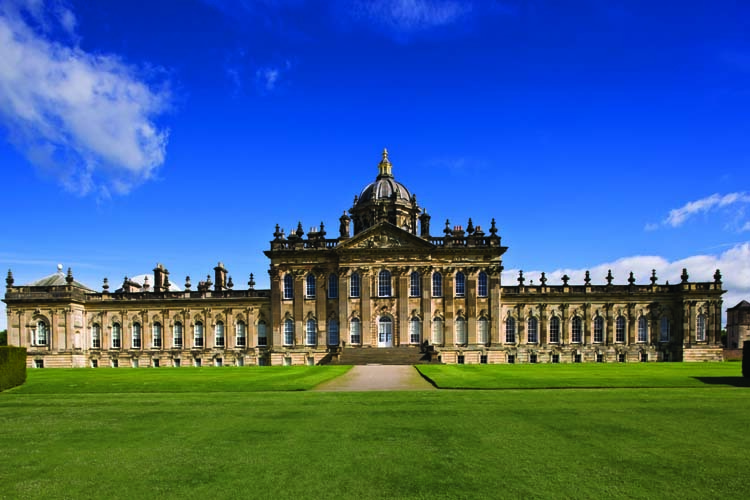 Named “one of the world’s top ten greatest mansions and grand houses” by Lonely Planet travel guide, Castle Howard became known to millions as the backdrop in the 1981 television miniseries Brideshead Revisted. At 1,000 acres, Winterthur is only a fraction of the size of the Castle Howard estate, which sits in the Howardian Hills at 10,000 acres. But both landscapes are equally breathtaking. Rich in family history, like Winterthur, Castle Howard was cared for by many generations of the same family. While the du Ponts no longer reside at Winterthur, Castle Howard is still the residence of the great grandson of the 9th Earl of Carlisle, the Honorable Simon Howard and his family. The two estates were opened to the public within a year of the other. Henry Francis du Pont opened his ancestral home Winterthur in 1951. George Howard, Baron Howard of Henderskelfe, opened Castle Howard to public visitation in 1952. Howard, like du Pont, was instrumental in revitalizing and restoring his ancestral home, especially after a large portion of the house was destroyed by fire in November 1940. Another similarity of the two country homes is that they each featured their own railway station. Winterthur’s train station, built in the mid 1890s by Henry Algernon du Pont, had numerous freight trains and three passenger trains that traveled across the property each day. When H. F. wanted to enjoy the Winterthur bounty at each of his many homes—Southampton; New York City; Boca Grande, Florida—he would receive weekly shipments of milk and farm produce. Castle Howard’s railway served the travelling needs of the general public, the nobility, and even royalty from 1845 to the 1950s. In addition to the transportation of people, the railway also moved produce from the estate and surrounding farms. Respectively, each estate contains world-renowned collections. Winterthur’s 175 rooms display du Pont’s abundant collection of American decorative arts and architecture. 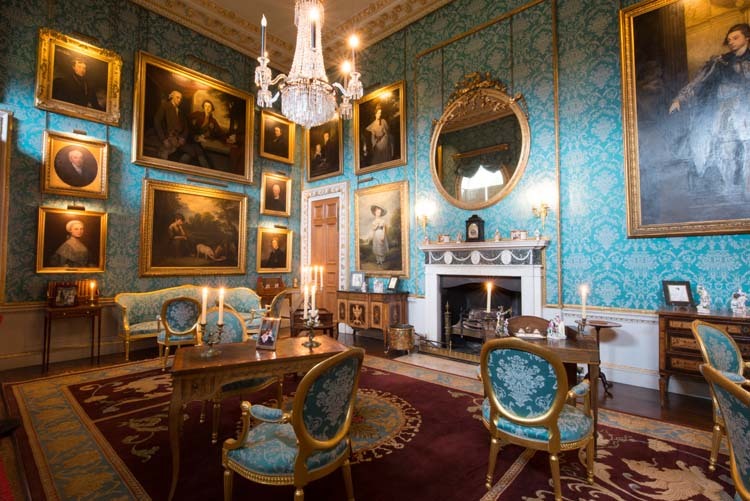 Castle Howard’s 145 rooms exhibit a noteworthy collection ranging from frescos and furniture to paintings and porcelain. Both estates also have magnificent gardens and grounds for visitors to explore each day, featuring magnificent collections of daffodils and rhododendron to name a few. This Friday, April 11, Winterthur welcomes the current resident of Castle Howard, the Hon. Simon Howard. Howard grew up in the house and lives there today with his wife and two children among the 220,000 visitors the estate receives yearly. Howard will take the audience on a personal visual tour of the house and landscape, sharing insights on modern living at Castle Howard and on the ongoing preservation and restoration projects that ensure its future. For more information on the lecture “Castle Howard: Family Home and Restoration Drama,” please visit http://www.winterthur.org/?p=950. This entry was posted in Architecture, Events and tagged Baron Howard of Henderskelfe, Brideshead Revisted, Castle Howard, Charles Howard, du Pont, Earl of Carlisle, George Howard, H. F. du Pont, Harry du Pont, Henry Francis du Pont, HF du Pont, Hilary Seitz, Howardian Hills, North Yorkshire, Simon Howard, Winterthur, Winterthur lecture, Winterthur Museum, Winterthur Museum Garden & Library. Bookmark the permalink.